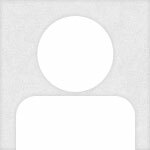 What is a pharmacy technician and what do they do? Pharmacy technicians assist licensed pharmacists prepare prescription medications, provide customer service, and perform administrative duties within a pharmacy setting. Pharmacy technicians generally are responsible for receiving prescription requests, counting tablets, and labeling bottles, perform administrative functions such as answering phones, stocking shelves, and operating cash registers. The pharmacy technician program conducted by South Texas College, McAllen, Texas is accredited by the American Society of Health-System Pharmacists and the Accreditation Council for Pharmacy Education. The Pharmacy Technology program at South Texas College is a Pharmacy Technician Certification Board (PTCB)-Recognized Sterile Compounding Education/Training Program. Participate in the required Prospective Student Information Session. For the session schedule, access the information online at https://nah.southtexascollege.edu. Be admitted to the college as a high school graduate or GED equivalent, except for dual credit students. Meet TSI College Readiness Standards, or meet TSI exemption standards. If the student qualifies for exemption, college-readiness scores for Reading, Writing, and Math are required for accreditation purposes. Earn a minimum cumulative GPA of 2.5 on a 4.0 scale for all courses completed at STC or, if currently a high school student, a minimum cumulative GPA of 2.5 on a 4.0 scale on the high school transcript. Be 18-years of age or older for practicum experiences. Pass a criminal background check, 10-panel drug screen through approved providers, and complete all required immunizations including Hepatitis B series. Satisfy healthcare agency requirements prior to practicum experiences. Submit a completed program application. Meet the technical standards of the program. Associate of Applied Science: $14,258.00. Failure to comply with the clinical standards and standards of professional conduct outlined in the South Texas College Student Handbook/Code of Conduct, the Nursing and Allied Health Division Handbook, and the Pharmacy Technology Program Handbook. Failure to complete all program courses in a semester with a final course grade of “C” or better. The Texas State Board of Pharmacy refuses to issue pharmacy technician trainee registration or revokes or suspends pharmacy technician trainee registration at any time during the Pharmacy Technology program course of study. 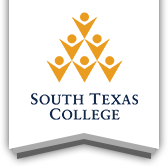 Clinical requirements include a criminal background check, current immunization status, clear tuberculosis screen, a drug and alcohol urine screen, current CPR status, current accident/health insurance, meeting technical standards of the Pharmacy Technology Program, and maintenance of a COMPLIO account throughout the program.Find more information at https://nah.southtexascollege.edu/clinical_affairs.html. The Texas State Board of Pharmacy requires a separate fingerprint based criminal background check for application as a pharmacy technician trainee. A negative background check performed through South Texas College does not imply the Texas State Board of Pharmacy will not deny pharmacy technician registration if it determines there is an issue in the student’s criminal background. South Texas College Pharmacy Technology Program students must apply for registration with the Texas State Board of Pharmacy as a pharmacy technician trainee during the second semester of the program. Texas law requires pharmacy technician students to be registered pharmacy technician trainees to attend practicum in pharmacies registered with the Texas State Board of Pharmacy. This trainee registration requires the student to apply to the Texas State Board of Pharmacy and submit fingerprints for a criminal background check. Candidates for registration as a pharmacy technician in Texas must submit an application to the Texas State Board of Pharmacy, proof of certification by a national organization such as the Pharmacy Technician Certification Board (PTCB) or the National Healthcareer Association (NHA), and fingerprints for a criminal background check. have a high school diploma or equivalent educational diploma (e.g., GED or foreign diploma) or be within 60 days of completion. fully disclose all criminal and State Board of Pharmacy registration or licensure actions. comply with all applicable PTCB certification policies. achieve a passing score on the Pharmacy Technician Certification Exam (PTCE). are within 60 days or less of completing a high school diploma or equivalent such as a GED or foreign diploma. complete a pharmacy technician training program offered by an accredited or state-recognized institution or provider, any branch of the U.S. Military, employer, or a national pharmacy association recognized by the respective state’s Board of Pharmacy and approved by the candidate’s employer. meets the work experience criteria of 1200 hours of supervised pharmacy related work experience within any 1 year in the last 3 years, if 5 years or more have passed since the candidate completed a training program. achieves a passing score on the Exam for the Certification of Pharmacy Technicians. 100% of 2016-2017 Cohort who attempted the Pharmacy Technician Certification Exam passed. Pharmacy technicians often work in retail, institutional, and mail-order pharmacies and have various responsibilities, depending on State rules and regulations. Technicians receive written prescription requests from patients. They also may receive prescriptions sent electronically from doctors' offices, and in some States they are permitted to process requests by phone. They must verify that the information on the prescription is complete and accurate. To prepare the prescription, technicians retrieve, count, pour, weigh, measure, and sometimes mix the medication. Then they prepare the prescription labels, select the type of container, and affix the prescription and auxiliary labels to the container. Once the prescription is filled, technicians price and file the prescription, which must be checked by a pharmacist before it is given to the patient. Technicians may establish and maintain patient profiles, as well as prepare insurance claim forms. Technicians always refer any questions regarding prescriptions, drug information, or health matters to a pharmacist. Bureau of Labor Statistics, U.S. Department of Labor, Occupational Outlook Handbook, Pharmacy Technicians, on the Internet at https://www.bls.gov/ooh/healthcare/pharmacy-technicians.htm (visited February 2, 2018). General Advisement for the Pharmacy Technology Program is held each fall and spring semester. Information packets are distributed during this advisement session. The application period is from the first Friday in February through the last Friday in June. Please contact the Program office at (956) 872-3049 for additional information or for an appointment with program faculty.